July 28, 2017 — It’s one of the oddities of Salem, Massachusetts, that for centuries, the exact location of the formative event of that city’s existence was lost to history: Nobody knew where the witches were hanged. Or buried, as the bodies were also dumped into a crevice at the site (although many were retrieved later, in secret, by family members). 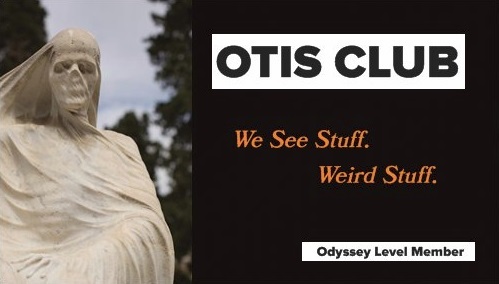 There were various theories over the years, of course. And, traditionally, the site’s been pinned in a general area called Gallows Hill Park, about a mile outside of downtown. However, while I was writing A Season with the Witch early last year, a group of historians finally officially confirmed the actual site of the hangings—a hump of rock in a parking lot behind a Walgreens. They also announced an initiative to install a memorial on the site, which is just outside of Gallows Hill Park. That memorial was completed this month. So, of course, I went to see it. In the 1920s, researcher Sidney Perley placed the exact location of the hangings at a lower point outside the park, and more recent scholarship—recent as in January of 2016, about three months after my own visit—has verified the location. That places one of the most infamous sites in American history at the intersection of Proctor and Boston Streets…right behind a Walgreens. It’s a spot I’ve driven past plenty of times as I’ve left Salem over the years, not giving it a second glance unless I needed a Slim Jim. Fortunately, by this time I knew about Perley’s work, so on my October gallows walk, I visited the actual execution site. I grabbed a Coke Zero from the Walgreen’s before heading around behind the drug store where the pharmacy pick-up window is. Twenty feet from the window and across a sliver of the store’s parking lot, is a rocky, wooded outcrop called Proctor’s Ledge. This is the execution site that is so infamous in American history. And people drive by it every day to pick up their heartburn medicine. I waited until there were no white coats in the drive-through window before heading up. A small, ghost-like knot of white plastic tied to a limb marked a slight path up the outcrop. I clambered up. On this ledge, is where Burroughs recited, where Wardwell choked, where Good cursed. Atop the rock, the denuded trees were barely thick enough to hide my presence, and the ground was covered in years’ worth of dry, brown leaves. About 50 feet from the edge were low rock fences forming the back boundaries of residential properties. 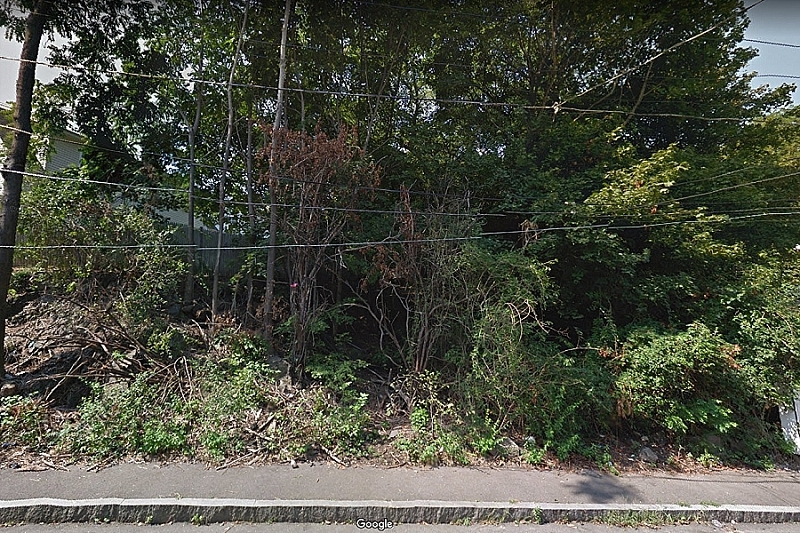 I’m not sure what those homeowners think about their backyards being one of the more infamous death patches in American history, and I totally missed my chance to find out. While I stood there, trying to heft the weight of the spot in my mind, I saw a man washing his car. I waved at him, both arms in the air like a castaway, but he either ignored me for being a stranger in the woods behind his house or didn’t see me. He just went inside. Maybe to call the police. Maybe to get a turkey sandwich. Whatever the reason, I whiffed on what potentially could have been the best interview in this book. Death binds moments to places. There’s something about the molecules of a body mixing with the soil of a site that merges the two in memory. And I think that’s a big part of why the city of Salem, among all the communities in Essex County, including Danvers, is so much more associated with the Salem Witch Trials. I mean, the official trials took place here, sure, but even more important, even more permanent, the executions took place here. The victims might have been from Salem Village and Topsfield and Marblehead and other places, but they became Salem soil. 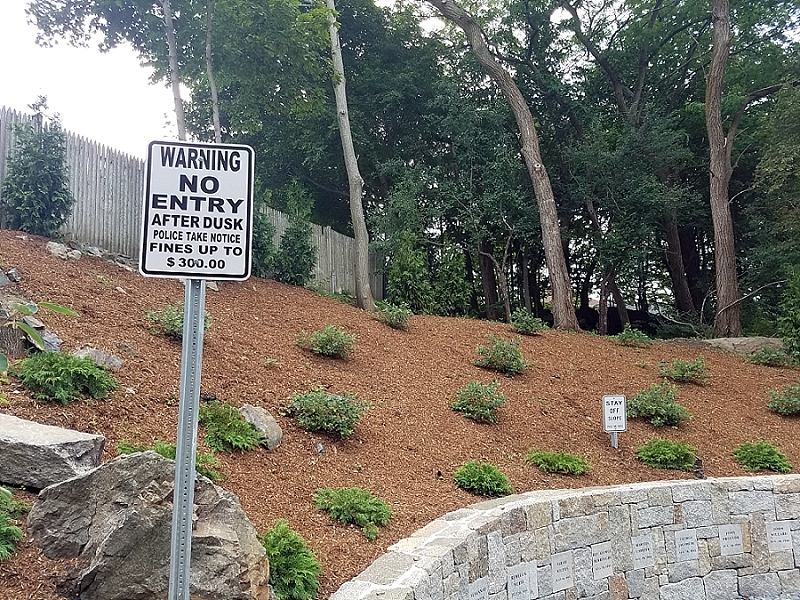 According to the press release from the researchers who validated the site, the city is planning a “tasteful plaque or marker” to memorialize the spot. Honestly, I would rather it be, I don’t know, somewhat less tasteful, I guess, something that would make people pause after grabbing their OxyContin prescriptions. If I had my way, it would be a large bronze gallows with 19 nooses dripping from it, maybe a bronze rock or two at the bottom for old Giles. I have no place on a memorial planning commission. 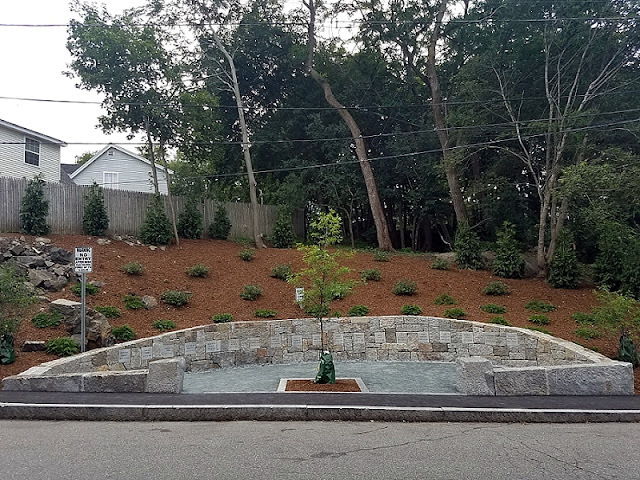 That memorial is installed on the side of Proctor’s Ledge perpendicular to Walgreens, on Pope Street (which parallels Proctor Street), right between two houses. 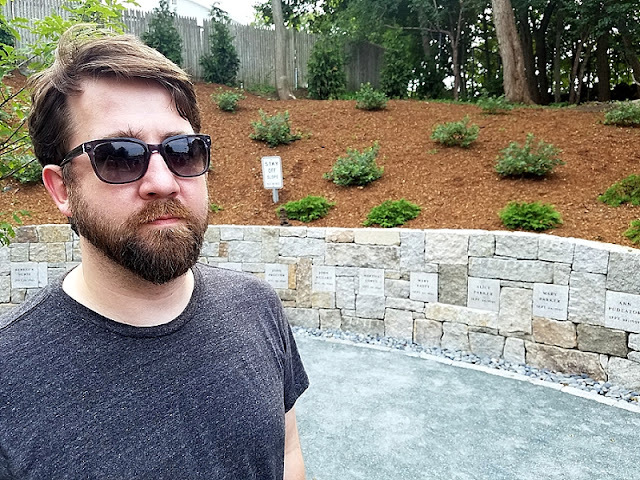 What was once an ugly tangle of trees and brush on the side of the road is now a neatly landscaped arc of stone, inset with the 19 names of the victims along with their execution dates. A single oak tree has been planted in its center. Strangely, the designers included no explanation for the memorial on site—no placard or identifying inscription. Maybe that’ll come later. Or maybe the thought is that the names are enough. The only signs at the memorial right now are to warn people not to trespass after dark or to climb the slope. The oak tree, I assume, is symbolic of a gallows, although the debate continues over whether the convicted witches were hanged from tree limbs or a manmade device. The memorial certainly is tasteful. Civic, even. All the reasons I kind of balk at the Salem Witch Trials Memorial downtown. However, there is something powerful about looking at those names and merely lifting your eyes to top of the ledge where they were hanged. That’s a great integration of the memorial into the landscape. I mean, I still want my bronze gallows, but whatever. Based on the programs for the dedication ceremony, they’re calling the memorial, the Proctor’s Ledge Memorial. Makes sense. That’s where it’s located. But it is tricky because that’s also the name of one of those 19 victims—only one of the 19 victims. But they can’t call it the Salem Witch Trials Memorial, either, because that’s the name of the one downtown. 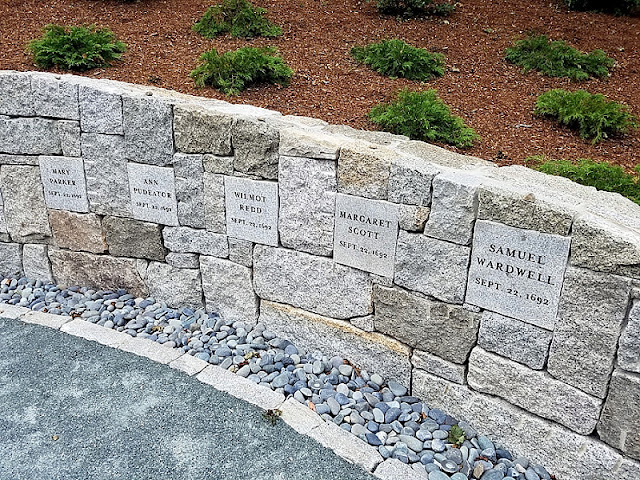 And calling it the Salem Witch Trials Execution Site Memorial is clunky and just as confusing as the city having a Salem Witch Museum, A Witch History Museum, and a Witch Dungeon Museum. So if you find yourself in Salem, head out to Walgreens. You might not be able to grab a Coke Zero anymore, but get yourself a drink, and see that infamous death patch of American history, newly memorialized 325 years after the tragedy.